On June 25 at approximately 6:00 p.m. the Calcasieu Parish Sheriff’s Office responded to a call at a local hospital in reference to a woman who had arrived with chest pains. When deputies arrived they were notified by hospital staff that the victim had several puncture wounds to her head and face area. 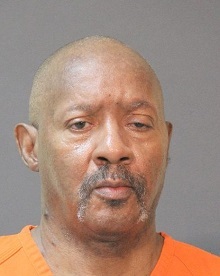 The investigation revealed the victim had returned to her home after attending church and her husband, Oliver Daniel, 61, Lake Charles, confronted her about being late. Oliver then armed himself with a pair of needle nose pliers and attacked the victim, striking her 3 times on the left side of her head. The victim advised detectives she was able to run out the front door of the residence to find a neighbor and call an ambulance. Deputies responded to the home where the incident occurred and located Oliver inside. He was arrested and booked into the Calcasieu Correctional Center and charged with attempted second degree murder. Judge Ronald Ware set his bond at $60,000. The victim sustained moderate injuries from the attack. She was treated and released from the hospital.